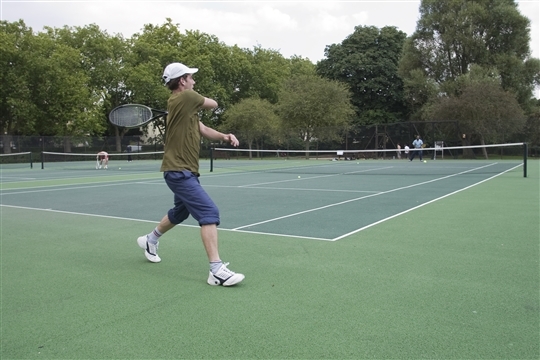 The Golders Hill Park Tennis League offers local residents friendly and competitive singles matches for adults of all standards! If you would you like to play more singles or are looking for new people to play, the Golders Hill Park Tennis League is a great way to play friendly, competitive tennis against other players in your area. You can play on any court in Hampstead Heath including the excellent courts at Golders Hill Park, and every player who completes 3 matches by the half way mark is sent a free can of tennis balls! WATCH: Greg Rusedski surprises Local Tennis Leagues players by joining! Click the link to see details of the upcoming round in the Golders Hill Park Tennis League and come and join other players in Hampstead Heath to get a great match, when you want. See you on court!